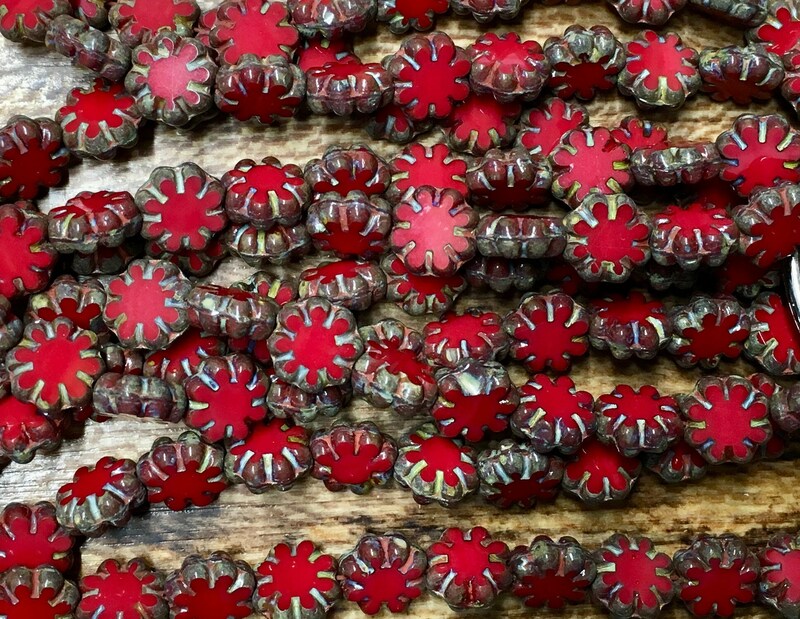 Red opaque picasso edged Czech pressed glass flat cactus flower beads. Beads measure 9mm x 3 mm. 25 beads to a strand!